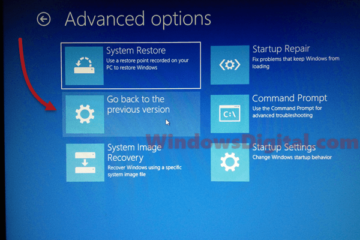 When you encounter problems that you can’t solve, or when your computer can’t even boot into Windows 10 to perform any fix, here’s a guide on how to startup repair Windows 10 using Command Prompt from Windows 10 Safe mode or via Windows Recovery. 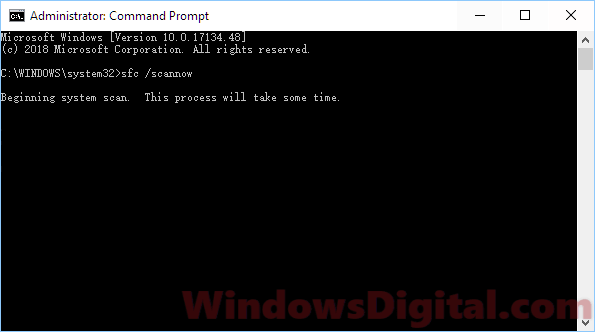 Before we start talking about what you can do in command prompt, we will have to show you how to enter Windows 10 safe mode with command prompt, or access to command prompt from Windows Recovery Environment. 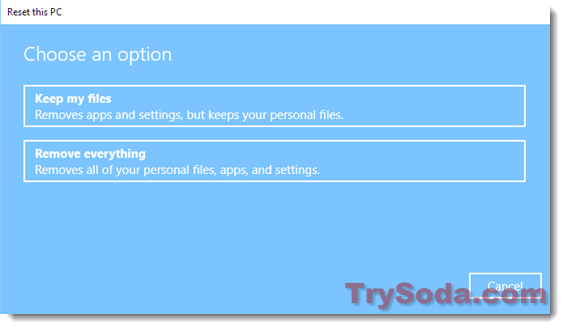 You may skip this step if you already know how to open command prompt without going into Windows 10. If you still have access to your Windows 10, you can enter safe mode by Shift clicking the restart button from start menu. 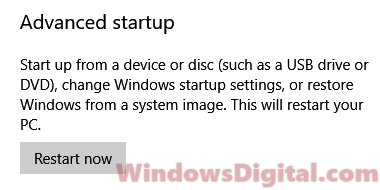 Then select (6) from the Startup Settings to boot into safe mode with command prompt on next restart. If you have no access to your Windows 10 at all, you need to do this: Hold and press on the power switch on your computer casing for about 5 seconds until your computer is completely turned off. Power it on again. When it starts loading Windows 10, hold and press the power switch again to force another shutdown. Repeat this for 3-4 times. When Windows 10 detects too many failed startup, it will automatically boot into Windows Recovery. When you are in Windows Recovery, select Troubleshoot > Advanced options > Startup Settings. 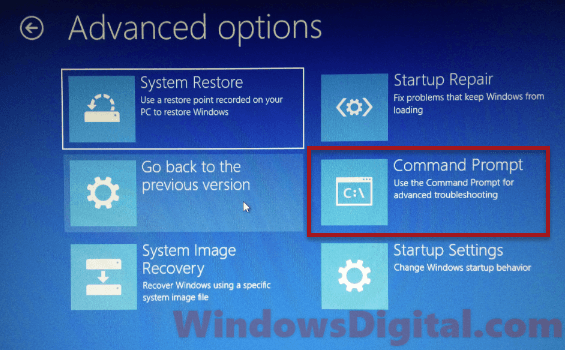 From there, press the 6 key to boot into Windows 10 safe mode with command prompt on next restart. To enter Windows Recovery if you’re still able to access to Windows 10, go to start menu > Settings > Update & Security > Recovery > Advanced startup. Click on Restart now to boot into Windows Recovery. If you can’t access to your Windows 10 in the first place, follow the steps mentioned above to repeat force shutdown your computer in order to boot your PC into Windows Recovery Environment. Once you’re there, select Troubleshoot > Advanced options > Command Prompt. You will then be able to execute commands directly from the Windows Recovery CMD. It’s worth noting that if you do have a recovery drive created prior to the problem, you can set your BIOS to boot the recovery drive to enter Windows Recovery Environment. The first repair command we’ll execute first is system file check (SFC). SFC is able to automatically scan for corrupted and missing system files, and repair or replace them in Windows 10. In the command prompt, enter the following command. The process may take 30 minutes or up to several hours depending on the size of the Windows system files and your HDD performance. When the scan is completed, you can choose to restart your PC now to verify if the problem still persists, or continue executing other commands below. 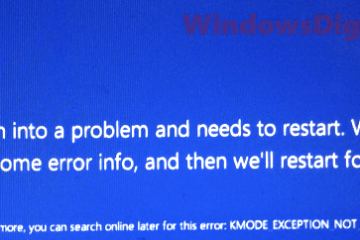 Hard drive error is one of the most common errors that causes Windows to crash or corrupt. Running check disk (chkdsk) will certainly help to check and repair unwanted disk errors on your HDD, especially your Windows 10 partition. 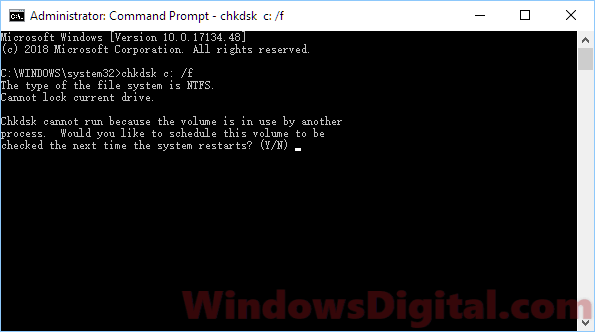 In the command prompt, enter the following command to perform chkdsk. Since you’re not currently using your disk, chkdsk should not ask you to restart your PC. If it tells you that the volume is in used and that it will schedule the chkdsk scan on your next restart, press Y key to proceed. Similar to system file check, the scan may take some time. Try not to interrupt the scan. When the scan is completed, restart your PC and verify if your problem is solved. Continue to the next repair command if the problem still exist. Deployment Imaging and Servicing Management (DISM) is a Windows built-in tool to automatically update files and correct services problems for your Windows 10 image. In the cmd, enter the following command. Bootrec.exe is an incredibly useful tool to repair boot problems in Windows 10. When startup repair or any kind of troubleshoot can’t repair your Windows 10 boot problem, you should definitely try using bootrec repair tool. In the command prompt, enter the following commands followed by an Enter key after each line of command. These commands are to execute bootrec.exe to fix the Master Boot Record (MBR) and other boot problems in Windows 10. Replace C: if your Windows 10 is stored in another drive. Reboot your computer after executing all commands. 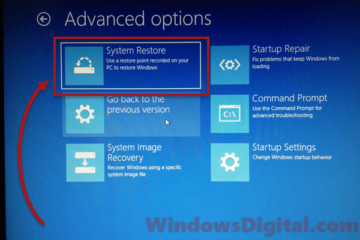 If none of the solutions above works to repair your Windows 10 boot problem, you may then decide if you want to system restore Windows 10 to a previous date, roll back Windows 10 update to an earlier build, or reset Windows 10 to factory settings. 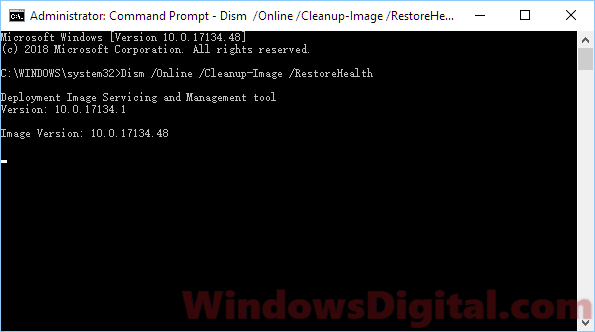 Description for sharing: If you encounter Windows 10 boot problem that you cannot solve, or if you can't even boot into Windows 10 to perform any fix, here's how to repair Windows 10 using Command Prompt when Startup Repair doesn't work or stuck in loop.